When asked what first prompted her to work with bees, Emily Bondor opens with a joke. 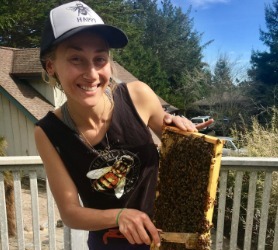 “The best way to make a small fortune in beekeeping is to start with a large fortune.” But at Santa Cruz Bee Company, the wealth comes in the form of the knowledge and skill Emily brings to the community. A proponent of “regenerative beekeeping,” she focuses on small-scale, sustainable, stationary hives which remain untreated and largely unmolested. This is beekeeping in the ecological sense, mindful of the role bees play in a healthy environment as pollinators in a country where one out of every three mouthfuls of food comes as a result of honeybee pollination. 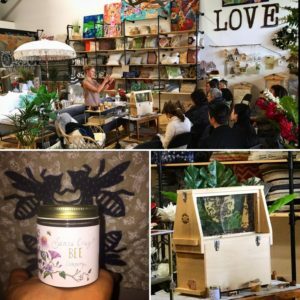 From swarm relocation to colony management to classes and workshops, Santa Cruz Bee Company offers a variety of services aimed at building a community around beekeeping. 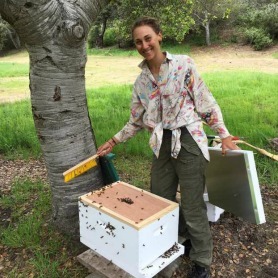 In addition to her business, Emily also teaches classes at Cabrillo in beekeeping and serves as the president of the Santa Cruz Beekeepers Guild. If it buzzes in Santa Cruz, Emily likely has a hand in it. This was not always the case. 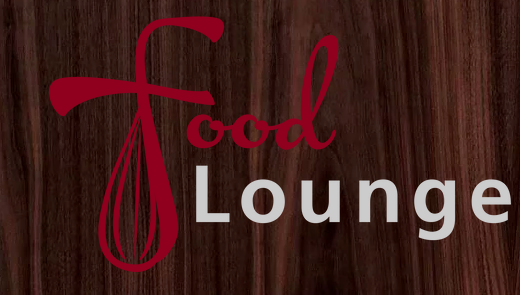 Emily had just finished a degree in Psychology at the University of Massachusetts Amherst when she pivoted down the path that would lead her to begin her business. But she was passionate about community-building and education. After finishing her degree, Emily moved to the Bay Area. Over the next two years, she worked closely through Americorp with the nonprofit Our City Forest — planting trees in urban centers around Silicon Valley—before moving on to JumpStart, an organization which promotes early childhood education and literacy in underserved communities. Increasingly, she was drawn to education happening outside the classroom. She wanted to try her hand at farming and food justice causes. To that end, she spent two years in Maui working as a WWOOFer, living and working on an organic farm in exchange for hands-on experience in how our food is created. On one of the farms, the owners kept several colonies of bees, and it was there that she was exposed to beekeeping. As she worked, she met Napa Valley Bee Company owner Rob Keller. The two struck up a friendship, and when she finally moved back to Santa Cruz in 2014, she quickly came on board as an associate beekeeper. She credits having Rob as a mentor as a large factor in her success. Creating a positive and well-informed community through outreach and mentorship was hardwired into the business model that Emily set out to build. The classes she teaches at Cabrillo help build the community and bring in new clients as people set up hives of their own. And as president of the Beekeepers Guild, she creates a space for learning and discussion where people can bring their problems and be matched with mentors to address them. “As in all things, you get better the longer you’re at it. But even still, things happen that I have never seen before,” she says. Through her mentoring and teaching, she has created a close network of community partners. Santa Cruz in particular, she says, is a great space for the work she does, as people are generally enthusiastic and mindful of how they can help. Ultimately, it comes down to being creative in reaching broader audiences and harnessing a collective knowledge for problem-solving. Emily has a running partnership with the Homeless Garden Project, where she has several hives. She uses the space for fieldtrips and workshops in exchange for providing a valuable service with her bees. In addition, Mountain Feed and Farm sells beekeeping equipment and often passes customers along to her business. At Hive and Hum, Emily sells small batches of honey from her hives as a way to generate branding and name recognition. 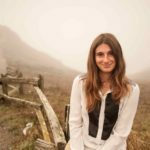 And through Project Pollinate, a small non-profit founded by Santa Cruz City Council member Drew Glover, Emily is able to work with interns on a volunteer basis. In doing so, she is able to ensure that her sustainable practices fund a foothold in the new era of backyard apiaries. She hopes to be able to create a similar internship through Santa Cruz Bee Company in the future. With such a busy schedule, Emily says she often finds it difficult to manage her time and to self-advocate for her work as a professional when the majority of beekeepers do so as a hobby. Being able to scale up and grow the business has also been difficult because of bee health. Colony collapse disorder has been well-documented in the last several years. In 2015, the United States lost 42% of all its honeybee colonies. While the direct causes of colony collapse are still unknown, Emily provides an apt description when she describes it as “death by 1000 cuts.” A combination of agricultural pesticides and fungicides, parasites, and poor nutrition weakens colonies and inevitably leads to their collapse. She acknowledges the riskiness in building a business on such a shaky platform. And indeed, colony collapse has taken a toll on her business. But she also sees colony collapse as a symptom of the way our agricultural system is designed. Large-scale beekeeping operates on a model known as “migratory beekeeping,” where hives are picked up and moved from field to field to help pollinate crops. 80% of hives in the US come to California each February to pollinate almond trees alone. Such a diet, where bees are feeding on only one food source for many months, is about as healthy for them as it would be for us. And many commercial hives are exposed to pesticides and fungicides which weaken the colony, leaving it susceptible to disease and parasites. In her regenerative model, hives are installed and left to exist as closely to their natural state as possible. She helps local farms and homeowners design their spaces to be bee-friendly, using native plants and an assortment of ground cover to promote a healthy ecosystem. Surrounding herself with committed and passionate people makes Emily feel optimistic about the future of beekeeping. While colony collapse has been devastating, it has also drawn a lot of public attention to the importance of healthy bee populations. As her business grows, she looks forward to expanding her partnerships and bringing more people into the busy world of beekeeping. 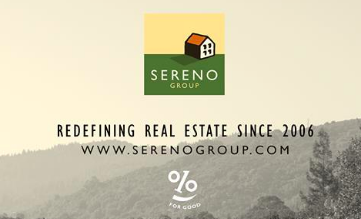 In addition to her website, you can also follow along on Instagram (@santacruzbeeco) or Facebook.